It may seem obvious but using higher quality fresh fruit and herbs in both your serves and as your garnish will result in better tasting and more visually appealing drinks. Pre-packed, lower quality fruits can have a dramatic impact on the final product and can even cost you sales in the long run. Local produce comes with a built-in perception of freshness and quality. So, make connections with your local food wholesalers, markets and greengrocers and emphasise how you want to make a real point of difference for your outlet by being more adventurous. Have back up supplies of fruit to cover each shift and store these in suitable containers in the fridge. Mint leaves, once washed and prepared, should be wrapped in a dampened paper kitchen towel and kept in the fridge to keep them fresh. Always use produce without obvious imperfections. Limes, lemons and oranges are a great option, as citrus fruits provide colour, flavour and that all-important zing of acidity. When crafting your garnishes, a sharper knife is easier to use and is safer than blunt blades, so having a good sharpening tool at hand is essential to ensure that utensils are ready for use at all times. 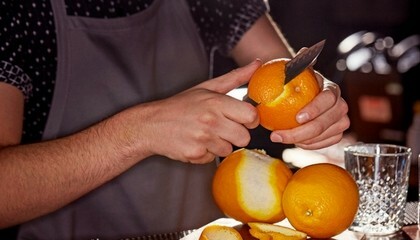 A small knife – For slicing, taking the ends off citrus fruits and dealing with softer fruits that are more likely to bruise. A large knife – For dealing with large fruits, such as pineapples, grapefruits etc. A chopping board – Good quality, washable toughened plastic is the best choice. Slice into wedges: Lime, 6 wedges / Lemon, 8 wedges / Orange, 16 wedges. A tight spiral gives you a tight curl, a wide spiral creates you a bigger, looser curl. Your choice of garnish has the ability to really make your venue stand out and give you a competitive edge over your competitors. With so many different trends emerging across the globe, it’s important to make sure that whichever you choose to adopt, your garnishes are executed to perfection! Tiki – Tiki cocktails are renowned for using an array of flamboyant florals to garnish their serves – they take the word ‘garnish’ to a whole new level! Tiki cocktails have been front and centre of garnish innovation and continue to push the boundaries. Vintage – In the past, the main goal was to make sure that nothing went to waste and to recycle every ingredient where possible. 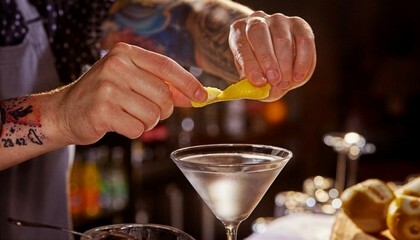 If a lemon was used in the cocktail, then you can be sure it was used as a garnish as well. Modern – As the importance of the garnish has increased rapidly over the years, the world of the garnish has become more open to a huge variety of weird and wonderful inventions. Today, anything from dried flowers all the way to gold leaf can be found adorning serves. 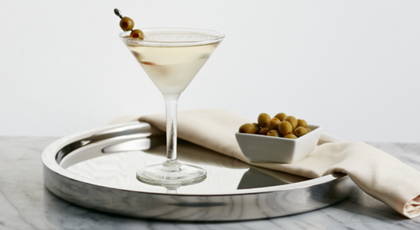 Culinary – With the worlds of food and drink growing closer all the time, bartenders are experimenting more and more with ingredients and techniques from the culinary world. 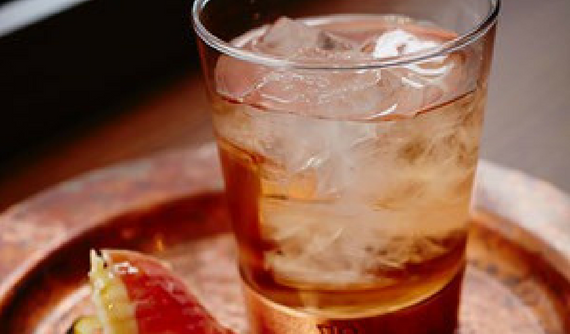 Savoury cocktails and garnishes have exploded onto the bar scene and we’ve witnessed everything from infused salt rims to bacon-adorned bloody Marys! 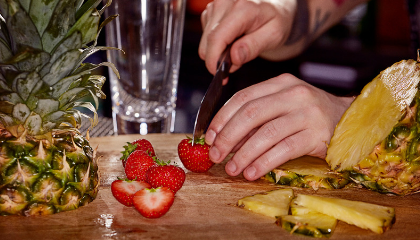 Now you’ve mastered garnishes, why not try your hand at some other essential bar skills? 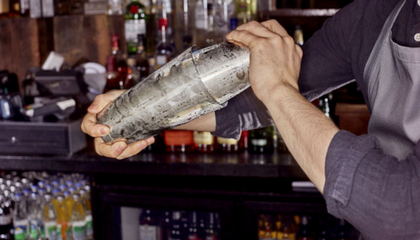 Sign up to Diageo Bar Academy today to unlock all the latest industry news, trends and tips to keep your bar knowledge up to speed! World Class winner James Fowler believes you need to know your products, helping you to make better recommendations, improve your customer experience. 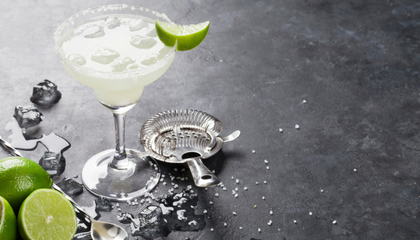 Whether you’re making a Mojito or a Gin Fizz, at the heart of every great cocktail there must be a perfect balance. Steve Timpson from the Diageo Bar Academy training team explains more and offers his perfect serve recipes for some popular classic cocktails. Improving your speed and efficiency can also reduce wastage of stock.